The intellectual property depicted in this model, including the brand "cessna", is not affiliated with or endorsed by the original rights holders. Editorial uses of this product are allowed, but other uses (such as within computer games) may require legal clearances from third party intellectual property owners. Learn more. 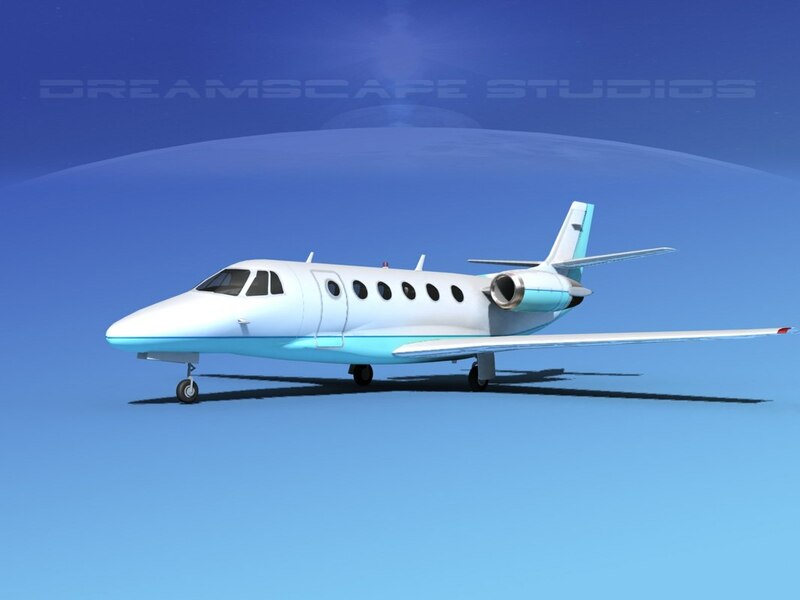 Legal Notice: The intellectual property depicted in this model , including the brand "cessna", is not affiliated with or endorsed by the original rights holders. High resolution and accurate 3d model created near to scale (within 5%) according to real reference. Native format 3ds Max version 13 was exported to a wide variety of formats. Other formats are exported in one resolution. This can be further subdivided. Exported formats (3ds, lwo and obj) are prepared well to work correctly with every standard modeling software. Compatibility level with other softwares may be limited. Control surfaces, landing gear and turbines are animateable. Textures and materials are included with all files. Previews were rendered using 3dsmax standard scanline. Model unit is variable depending on the model and references. The Cessna Citation Excel (Model 560XL) is a turbofan-powered, medium-sized business jet.